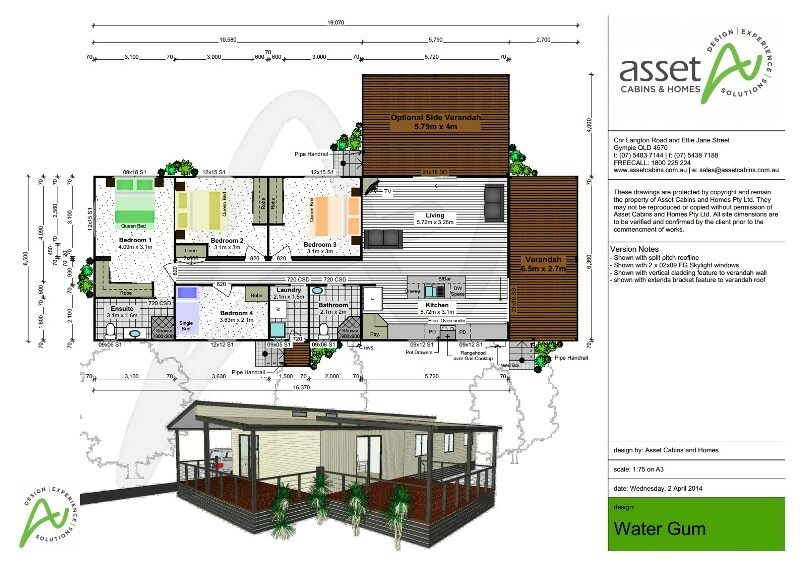 Water Gum is a four-bedroom relocatable home with classic style and all ‘mod cons’! There’s lavish accommodation for up to seven with three queen-size beds and one single. The master bedroom has an ensuite, and there’s a linen closet down the hallway from the bathroom and laundry, which leads to a side external door and timber landing. The ample living area has two double-seat sofas and loads of decorating potential. Leaving the best till last, the kitchen/dining area steals the limelight with a pantry, rangehood – and an island breakfast bar, incorporating a wash-up area and dishwasher space! A sliding glass door opens onto the full-width verandah, with a large side verandah available as an option.